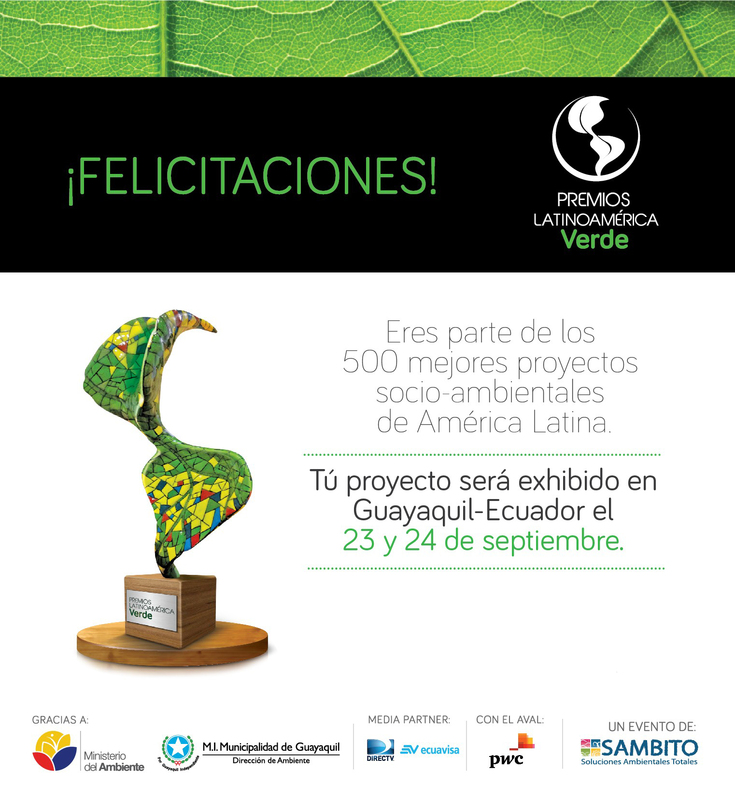 Over 1,000 Environmental Practices Projects of 24 countries in Latin America and Spain participated in the 2015 Green Awards Latin America, which will be held in Guayaquil, Ecuador as part of an event that will run from 23 to 28 September. Prizes will be awarded to the best projects in six categories: water; biodiversity and forests; human development, social inclusion and education; waste; emissions; and energy. For more information on the The Latin America Green Awards click here.